You want to achieve youthful, bright, and blemish-free skin to feel competent and confident about yourself. Unfortunately, what you have is dull, unhealthy skin, despite all the skin care efforts that you've been doing. What are you doing wrong? You may wonder. 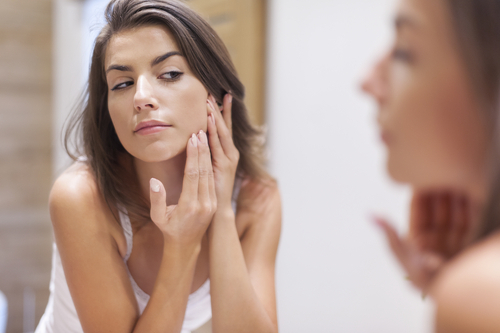 Well, there are some habits you may not realise which are doing more harm than good, and it's about time you start correcting them before your skin gets even worse. 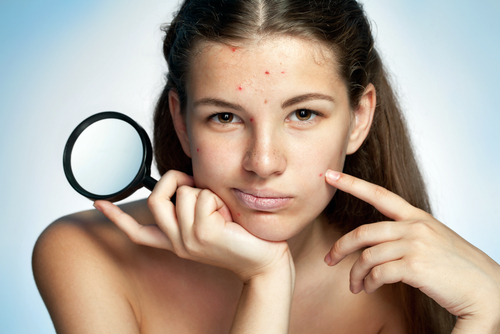 If those humongous zits are making you feel awkward, you feel the urge of just popping them out to get over it. You've done this many times before, and it feels rewarding every time. But hold it. Don't touch your zits with your hands, much less pop or prick them. Otherwise, your skin becomes prone to infection and scarring, which in the long run becomes an even tougher problem to address. What you want to do is visit a reputable skin care provider such as https://veraclinic.net for professional treatment. And whatever you do, don't touch or pop another pimple. What you put in your body reflects on your skin. So, over time, all those greasy burgers and fries, generous servings of white bread and pasta, and alcohol will take a toll on your skin. It pays to remember that anything in excess is never good, so try to consume everything in moderation. And if you're looking to improve your skin, watch what you eat. It's better to eat heaps of fruits and vegetables and consume less sugar, salt, fat, and carbs. Also, don't forget to hydrate properly. You're probably pulling a couple of all-nighters for work or school; you're late out partying with your friends. It's good to know that you're doing something good for your future or that you're having fun, but when you sleep too late, it's your skin that suffers. And if you think you've grown wrinkles and fine lines overnight, then you're probably right! Aim at getting at least seven hours of sleep every night to give your skin enough time to heal and reinvigorate. When you sleep enough, your skin cells are doing an even better job in healing damaged skin cells, so you wake up to a bright and healthy-looking skin. Makeup products can enhance your natural beauty, but when you let them linger on your skin longer than they have to, you are also giving them the opportunity to seep through the pores and cause a blockage. This results to nasty breakouts, blackheads, and whiteheads. So, if you're done for the day, never forget to take off the makeup no matter how tired you feel; it's one habit that can go a long way in maintaining healthy skin. And don't forget to wash your makeup brushes and sponges regularly with an anti-microbial cleaning solution to get rid of the remaining germs and dirt that can cause more pimples. Many people believe that the more you peel, the more you are stripping off those dirty skin layers to reveal fresh new skin underneath. To an extent, yes, that is true. But if you exfoliate almost every day and you use an exfoliator with large and harsh beads, this practice can cause more problems in the long run. First, those beads can create micro-scarring, and second, over exfoliating can cause the skin to produce more oil, thus making the skin more prone to acne. Limit exfoliation to two to three times a week, spaced evenly throughout the week to give the skin the chance to breathe and regenerate in between. If you believe that you don't need sunscreen in winter, think again. You need sunscreen throughout the year. The higher you go with the SPF, the better because it offers an even more effective barrier against sun damage. Also, remember to reapply every so often because the sunscreen's effectiveness wanes out in a few hours. So, if there's one skincare product you can never go wrong with and shouldn't skimp on no matter what season of the year, that should be the sunscreen. If your skin is currently in bad shape, you should start looking at potential reasons – from the products you use, how much time you sleep, what you eat, and even how you deal with issues like pimples. Sometimes it's those little things that make things worse. And if you start eating healthy, resting well, and become overall more hygienic, you should see significant improvements to your skin very soon.